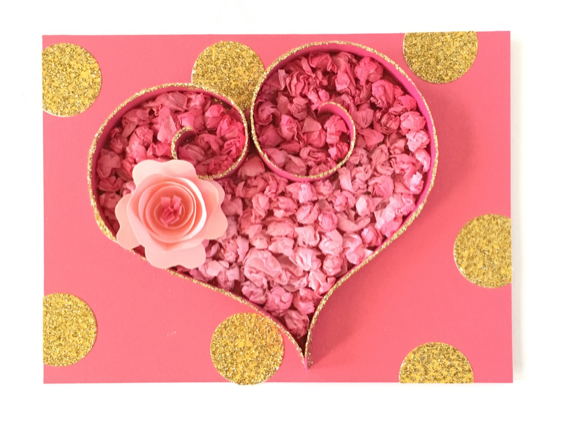 Nothing better than a handmade Valentine, and even though this one looks fancy, it's a very simple and easy to make for yourself or with the kids. 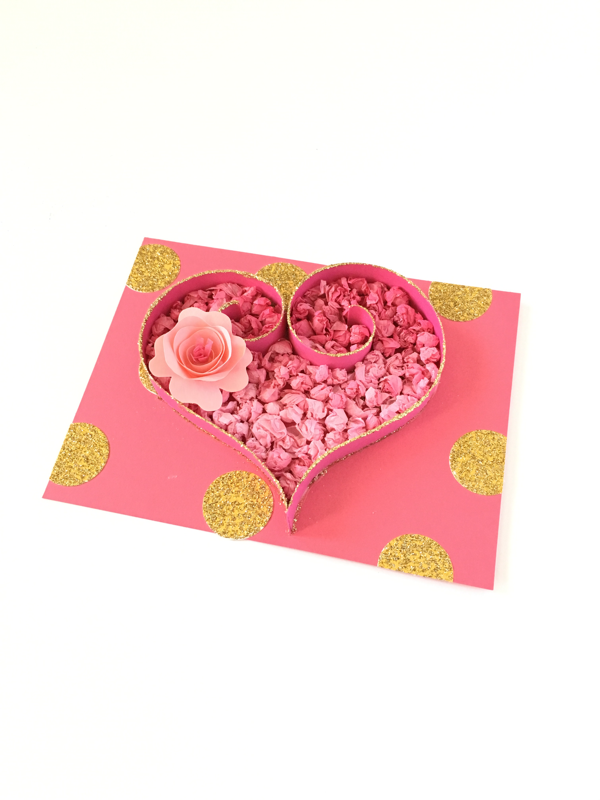 Add a message to the back or create this on the front of a card. The 3D heart acts as a wall to hold in any material you choose to put inside. 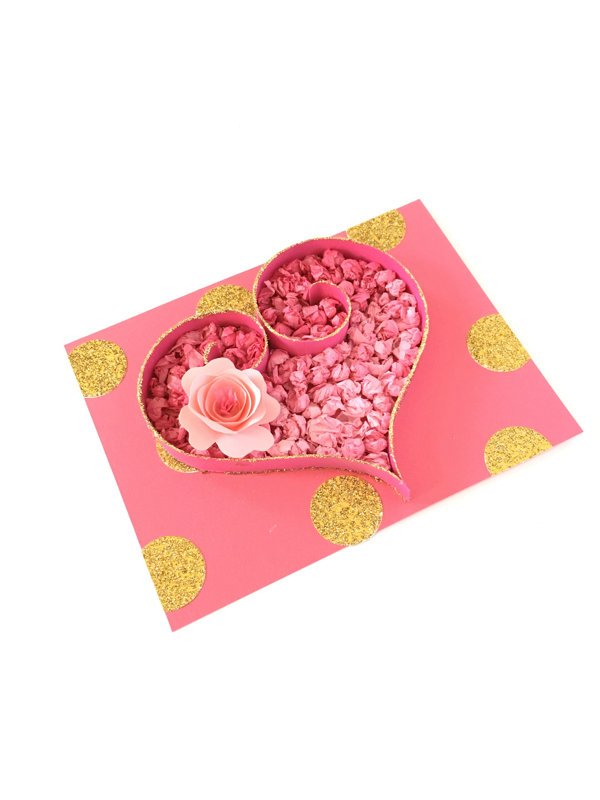 Be creative and embellish your heart uniquely just like your Valentine!